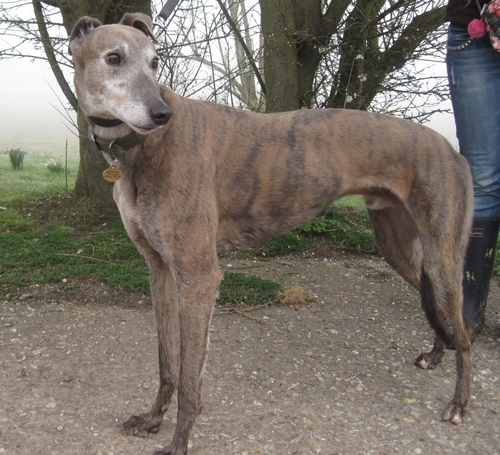 He was born in April 2004 and he is a confident, friendly, affectionate and very handsome, large sized, blue brindle male. 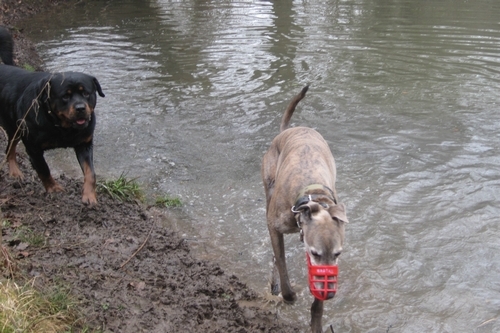 Jack is very good on a lead, he is now learning recall and has begun off the lead training. He travels well and is keen to get into a car for his outings. 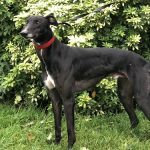 Jack would be suitable as an only pet or as a companion to other dogs of any size. 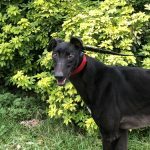 If he is to share a home with other dogs we recommend a crate for him when he is unsupervised simply because Jack is very new to sharing his life with other canines having previously spent time kennelled on his own. He’s suit living with children aged 10 years and over. 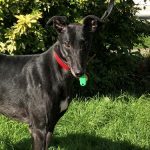 Jack is a lad who is not able to deal with a home where shift work is the order of the day. He’s a boy who requires a relatively predictable sort of day for him to be happy and to stay relaxed. After almost 8 years in kennels it’s not really surprising that routine is Jack’s comfort, it’s all he knows. 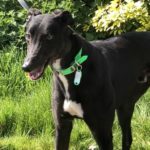 In his foster home Jack has proved to be clean, quiet and well mannered and he’s able to be left for reasonable periods without any company or in the company of other dogs. Jack is able to manage laminate flooring without difficulty. Jack is living with a cat and he chooses to ignore it, so he would be suitable to live with cats in an adoptive home. This big lad suffers from an auto immune disease. In simple terms Jack’s body rejects his toe nails and they fall off. There is no cure and the condition will affect him for the duration of his life. We believe Jack’s supplements and medication now have the disease sufficiently under control that Jack is able to once again lead a perfectly normal life with little or no pain when a nail does “shed” periodically. The necessary medication (for this condition only) can be provided for Jack without cost to the adopter if required. Jack’s condition is not contagious; it cannot be passed on to people or other animals. 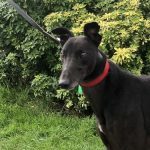 Viewings for Jack need to be done away from the kennels as we do not want to bring him back into a kennel environment now that he is all settled and happy in a home environment. 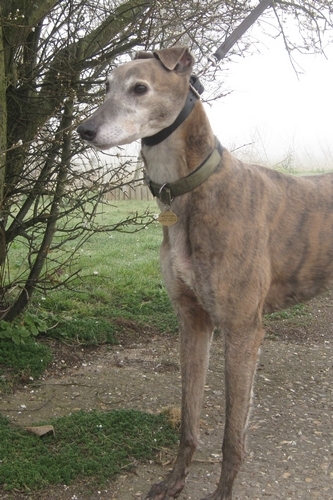 This entry was posted in Greyhounds Homed and tagged Blue, Brindle, Cat Trained, Featured, Homed, Special Needs by Kev. What a beautiful boy Jack is. 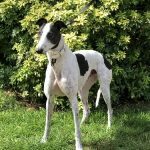 I had a greyhound Jimmy who suffered from the same condition as Jack, and although it took a while to get it diagnosed, once he was on his medication and supplements it was fairly easy to manage, and didn’t seem to cause Jim too much discomfort. I hope Jack finds a home soon and his condition doesn’t put people off such a handsome boy. 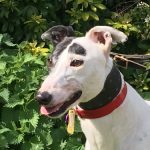 Jack, its so lovely to see you in the Homed page at last! Enjoy it!